As we reflect back on 2017, food recalls continued to dominate our headlines even after the implementation of FSMA. Our industry has taken corrective actions to limit risk. We want to protect consumers as well as our brands, limiting the financial and reputational damage that a recall can inflict on a company. We, along with consumers, are also more aware and in tune with the news due to social media and the 24-hour news cycle. It may appear that there are more recalls, but I would argue that the industry is more proactive and more accountable by submitting itself to voluntary recalls. Without a doubt, the food industry is under increased pressure. Looking forward to 2018, we are reminded that it was 25 years since the E. coli outbreak at Jack in the Box. It was a monumental turning point in food safety that sparked the industry to modernize and examine processes. Since then, the food industry as a whole has come a long way. 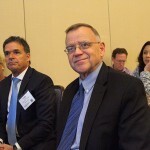 During my 16 years at GS1 US, working on programs such as the Foodservice GS1 US Standards Initiative, I saw food companies embrace global standards to increase efficiencies and build a foundation for traceability and supply chain visibility. Now adding Blockchain, Smart Labels, and IoT data to the technology mix will continue to advance the modernization of the food industry. The good news for our industry is that consumers are patronizing companies that are embracing transparency as a strategic business strategy and these are the companies who are winning the market share as a result. As stewards of our industry, we will always review our processes, continue to train and educate our employees and adopt better ways of guarding the supply chain. One way to become better at protecting the food chain and the public is exchanging ideas with our peers. We are stronger together. That is why I am excited to bring together a diverse group of industry leaders for this year’s Food Safety Consortium to discuss this very topic. 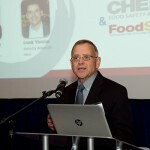 Titled, Is Your Food Chain Recall Ready?, I will be joined on Thursday, November 30th at 2:30pm CST by Jessica Jones, sr. specialist of Supplier Quality & Safety at Chick-Fil-A; Barbara Hullick, senior director of Food Safety at Produce Alliance and Bryan Cohn, vice president of Operations at Seal the Seasons. Best practices for FSMA compliance before, during and after a recall. Best practices to execute precise, data-driven and timely recalls and stock withdrawals. Establish and execute a process for escalation and post-recall audit reporting. Work and communicate with suppliers and distributors on “what if” scenarios and what they can expect when quality issues arise. 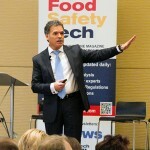 Create a food safety culture which works in concert with legal, marketing and other internal teams. I hope you will join us in person at the Renaissance Schaumburg Convention Center Hotel for the entire conference but if not, join us virtually! Registration details can be found on the Food Safety Consortium website. 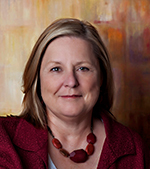 Julie McGill is FoodLogiQ’s Director of Implementation and Strategic Account Management. McGill previously worked at GS1 US for over 16 years on various teams including Global Data Synchronization Network (GDSN) implementation services and global account management. She also led the Foodservice GS1 US Standards Initiative for over 7 years, working with manufacturers, distributors, operators and supply chain partners to increase efficiencies and build a foundation for traceability and supply chain visibility through the use of GS1 standards.